On July 14th, the Art Bikers visited the Placemaking Halifax Intersection Repair project at the corner of Northwood and Black St. This amazingly collaborative community beautification project was co-sponsored by the 4Cs Foundation (the Art Bikers' parent foundation) and was a huge success! 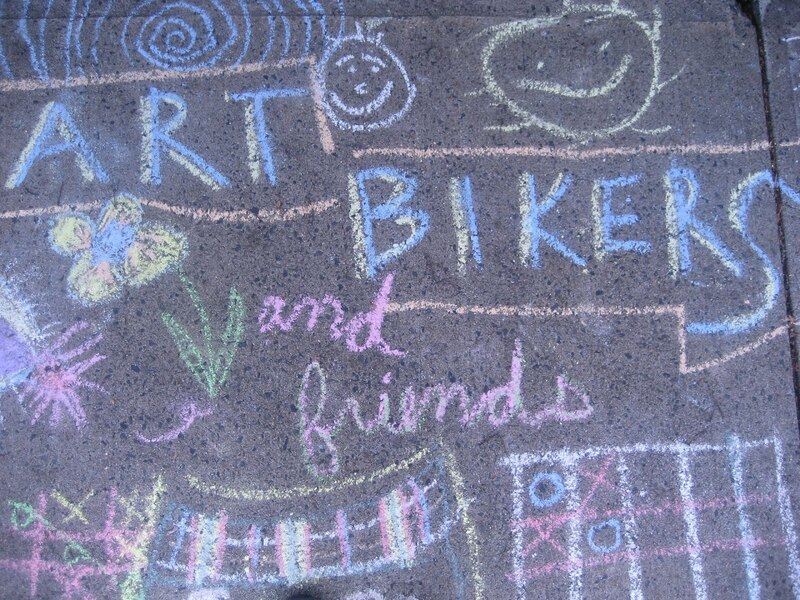 The Art Bikers were honoured to be invited to do some chalk drawing on a side-street while the intersection was being painted. We drew the longest hopscotch in the world (101 squares!) with some very creative helpers!